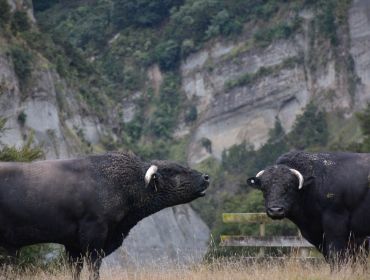 The Welsh Black is a native British breed descended from cattle of Pre-Roman times and it has been suggested that the breed is based on cattle from the Iberian Peninsula. Certainly black cattle have been bred in Wales for well over 1,000 years and, as in Scotland and many parts of Britain, were often used as currency. This gave rise to the description of the Welsh Black as "the black gold from the Welsh hills." 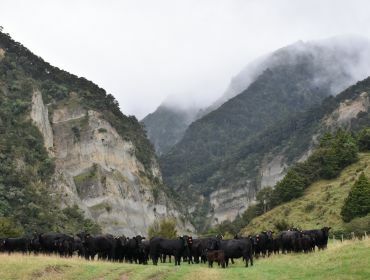 Up until the early 1970's the Welsh Black was regarded as a dual purpose breed for both dairy and beef production. There were two distinct strains of the breed, the stocky North Wales beef type and the more dairy like South Wales or Castlemartin animal. 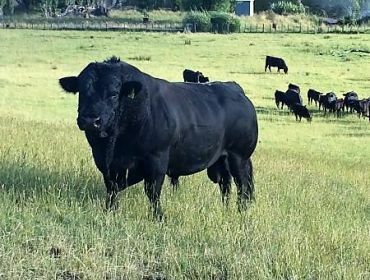 The Welsh Black breed of the 21st century combines the best of both combining beef ability with ease of calving and the milking ability to rear strong growing calves. The New Zealand Society was established in 1974 with members spread throughout New Zealand. An Annual General Meeting is held over a weekend during either April or May at different locations around the country.